Diabetes management: eating white button mushrooms daily can act as a prebiotic by improving microbial community in the gut, which could then improve the regulation of glucose in the liver. Diabetes is a condition marked by elevated blood sugar levels. According to WHO, in the year 2014, 422 million people were diagnosed with diabetes across the world. If the findings of a latest study are to be believed, eating white button mushrooms daily can act as a prebiotic by improving microbial community in the gut, which could then improve the regulation of glucose in the liver. Scientists are saying that the findings could pave way for new diabetes treatments. The study was reported in the Journal of Functional Foods. Feeding white button mushrooms to mice changed the composition of gut microbes -- microbiota -- to produce more short chain fatty acids, specifically propionate from succinate, according to Margherita T. Cantorna, Professor at Pennsylvania State University in the US. Previous research has shown that succinate and propionate can change the expression of genes needed to manage glucose production. "Managing glucose better has implications for diabetes, as well as other metabolic diseases," Cantorna noted. For the study, the scientists used two types of mice who were fed about a daily serving size of the mushrooms. One group had microbiota, the other were germ-free. 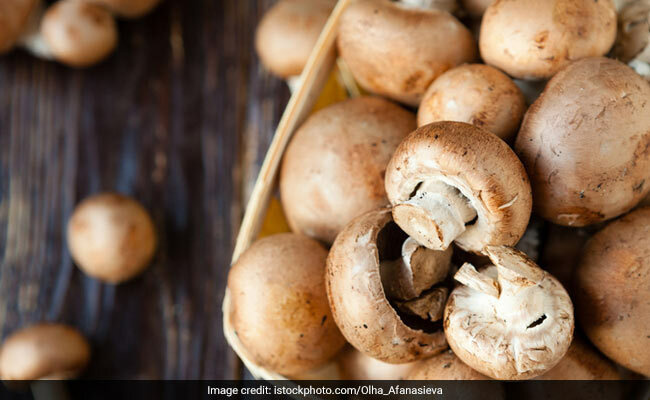 Here's how the mushrooms help stimulate the insulin activity. Consuming the mushrooms set off a chain reaction among the gut bacteria, expanding the population of Prevotella -- a bacteria that produces propionate and succinate. These acids have the potential to change the expression of genes that are key to the pathway between the brain and the gut that helps manage the production of glucose, or gluconeogenesis. The mushrooms, serve as a prebiotic, which is a substance that feeds beneficial bacteria that are already existing in our gut microbiome. The study also shows more evidence that there is a strong connection between diet and microbiota. "It's pretty clear that almost any change you make to the diet, changes the microbiota," Cantorna added. Tomatoes are rich in vitamin C, vitamin A and lycopene, which is good for our heart. Moreover, they reduce the risk of heart complications associated with diabetes. Tomatoes are low-carb and also low in calories. Packed with large amounts of an insoluble fibre called lignan, flaxseeds keep the hungers pangs at bay. Moreover, flaxseeds regulate blood sugar levels in the body and improve gut health and insulin sensitivity. Beetroots are incredibly low on the carbohydrate content.The natural sugar in beetroot doesn't get converted into glucose too quickly, which makes it good for diabetics. Bitter gourd, or karela, comprises active substances that have anti-diabetic properties like charantin, which is known for its blood glucose-lowering effect. The best way to eat karela is to have it in the form of juice early morning on an empty stomach. Methi seeds and methi leaves are rich in fibre which helps regulate the absorption of carbohydrates and sugars in the body.